The word “there” have multiple functions. In verbal and written English, the word can be used as an adverb, a pronoun, a noun, an interjection, or an adjective. They went there only to find out that it was postponed. We went on to London and stayed there two weeks. Stop right there before you say something you’ll regret. The word “there” is considered as a pronoun because it substitutes the name of the person, in this case, You. There is no there and no here in pure space. The word “there” is used as a noun, which refers to a location. The word “there” is used for emphasis or to draw attention to a particular thing. There, I told you my parents wouldn’t mind! She is there to answer any questions you might have. 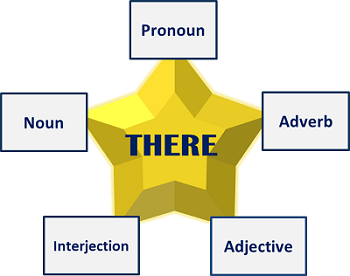 The word “there” modifies the pronoun “she” and is therefore considered as an adjective. He is always there for her. Those guys there can tell you.